Click on the links below to download a PDF of NOMA’s monthly meeting agendas and minutes, special reports and correspondence. Reports have been separated by year, month, and week for your convenience. We generally meet on the first Thursday of each month at the Montana Branch of the Santa Monica Public Library. Light refreshments and social time starts at 6:30; meeting starts at 7. Meetings are open to the public. 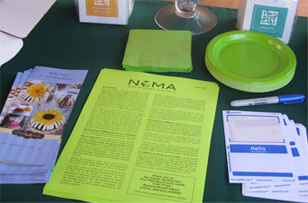 Join NOMA - Become Part of the Solution! We are concerned with the quality of life throughout the city of Santa Monica, with a particular focus on the area north of Montana Avenue. Together, we make Santa Monica better!